Knowing which pain reliever to use really depends on the medical condition you wish to treat. When it comes to Advil, Aspirin and Tylenol, painkillers you can purchase any time of day, in several stores across the country, including pharmacies, grocery, convenience and even dollar stores, they have their similarities and differences; but we've put together am article to help guide you through your decision. If you're unsure, consider consulting your family doctor or local physician for the best recommendations. Tylenol, also known as acetaminophen, is a name brand, but also comes in many house brands such as Tempra and Panadol. They are all made up of the same ingredients, however the house brands can be purchased for much less. Known as one of the most common pain relieves, Tylenol has been on the market for several years. It can be used for pain relief and fever, for people of any age. There is no anti-inflammatory ingredient in Tylenol, however there is evidence that it does perform when it comes to reducing pain and relieving fever. 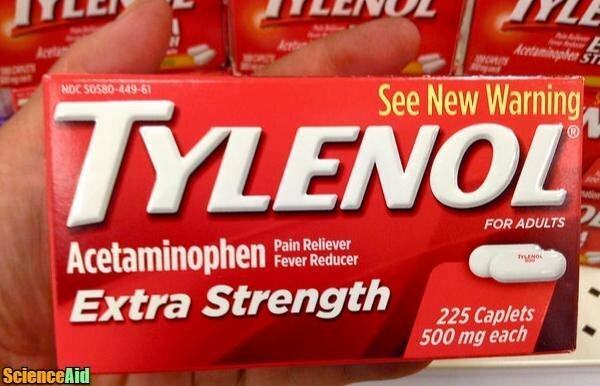 Tylenol, or acetaminophen, reduces pain and fever by producing prostaglandins in the brain, which ultimately blocks pain signals and induce fever. 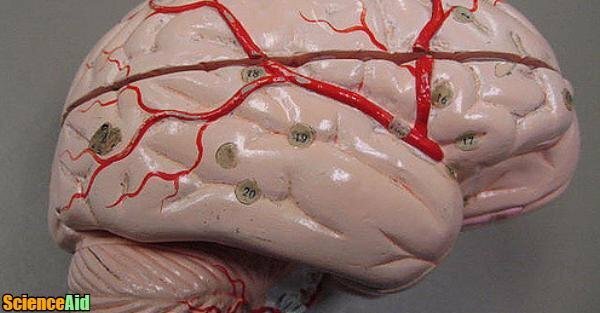 Brain prostaglandins are chemical substances that occur when an injury or other issue is present, sensitizing pain and elevating a person's body temperature regulation set point. The typical dose of Tylenol, for an average adult, is 325-1000 mg every four to six hours, as required. A daily dose must not exceed 4 grams. The liquid form is best for children and appropriate doses can be found on the package. The intake of Tylenol comes with minimal side effects. However, if a person overdoses or takes a high daily dose for a long period of time, it could ultimately lead to liver damage. If a person consumes a lot of alcohol and Tylenol on a long-term basis, the likeliness of liver damage increases, due to a lower tolerance level. In this case, the maximum dose should be around 2 grams/day. In comparison to other pain relievers, Tylenol is the safest option for pregnant and lactating women. 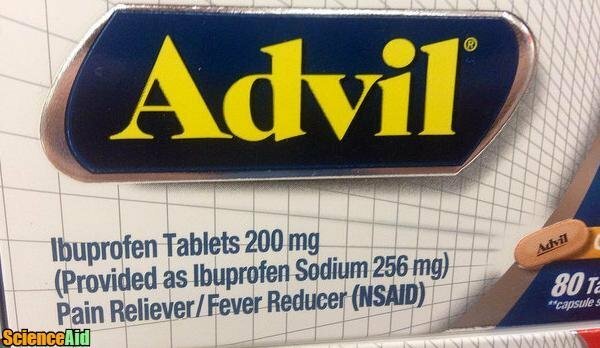 Advil, also known as ibuprofen, is a name brand, but also comes in many house brands such as Life Brand and Pharmasave. They are all made up of the same ingredients, however, the house brands can be purchased for much less. Many people are not aware that Advil and Motrin are the same drug. Advil and Motrin are very common names in the pain relief category. They can both be used for pain relief and fever, and are just as effective as Tylenol. The pro to Advil is it is also an anti-inflammatory, serving as a great option if a person has painful and inflamed wounds with swelling. Advil is commonly referred to as a non-steroidal anti-inflammatory drug, or in short, a NSAID. When cells in a person's body are damaged, they release prostaglandins which increase sensitivity. When a NSAID such as Advil is consumed, it stops the injured cells from releasing prostaglandin. The typical dose for an average adult is 200-400 mg every four to six hours, as required. Do not consume more than 3.2g/day, to avoid possible overdose. There is not as much research available when it comes to Advil, especially in comparison to Tylenol; however, we know that there are more adverse side effects with ibuprofen. These include upset stomach, ulcers, and bleeding. If a person is wounded and still bleeding, Advil isn't a great option as it can prolong bleeding time. Additionally, Advil and Motrin are less toxic than Tylenol in overdose. Pregnant or lactating women should not consume Advil. Aspirin, also known as acetylsalicylic acid or ASA for short, is a name brand, but also comes in many house brands such as Entrophen. They are all made up of the same ingredients, however, the house brands can be purchased for much less. Aspirin can help provide fever and pain relief and has an anti-inflammatory. It is also used as a blood thinner to help prevent stroke and heart disease. Aspirin is also classified as a NSAID, or non-steroidal anti-inflammatory drug, similar to Advil and Motrin. Consuming Aspirin blocks prostaglandins, therefore reducing pain. The typical dose for an average adult is 325-1000 mg every four to six hours, as required. Do not consume more than 4g/day. The typical dose of Aspirin or Baby Aspirin, for a child is 10-15 mg/kg every four to six hours, but not suggested for children under 18, especially if they have viral illnesses such as the flu or chickenpox. Aspirin has similar side effects to Advil, including upset stomach, ulcers, and bleeding. If a person experiences ringing in the ears or hearing loss, it could be a sign of overdose and emergency services should be contacted immediately. Additionally, Aspirin, when taken by children, has also been associated with the development of Reye's syndrome. Reye's syndrome is a serious but rare condition that most often affects kids aged 6 to 12, causing brain damage, liver damage and in some cases, death. It is relatively safe for pregnant women to consume Aspirin, but only during the first six months of pregnancy. In the third and fourth trimester, it should be avoided as it can cause harm to both the mother and the baby as well. Tylenol is always the best option for pregnant and lactating women. MLA (Modern Language Association) "Which Pain Reliever to Use." 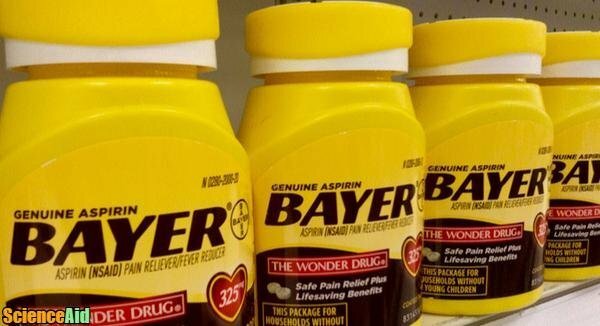 ScienceAid, scienceaid.net/Advil_vs_Aspirin_vs_Tylenol_Which_Pain_Reliever_to_Use Accessed 20 Apr 2019. Chicago / Turabian ScienceAid.net. "Which Pain Reliever to Use." Accessed Apr 20, 2019. https://scienceaid.net/Advil_vs_Aspirin_vs_Tylenol_Which_Pain_Reliever_to_Use. Thanks to all authors for creating a page that has been read 1,073 times.